Warming Chilled Kits. What can you do when you discover a rabbit kit is no longer in the nest box, it is on the cage wire (or well away from the nest), cold and not moving? There might be hope – follow these tips. Winter in the northern hemisphere can be all kinds of cold, depending where you live. 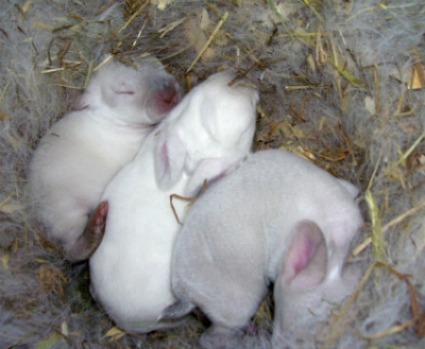 Yet rabbit does will safely kindle their kits through the most inclement of weather if you’ve provided sufficient protection from the elements and enough bedding to keep the tiny kits warm in their nest boxes. Even in sub-zero weather, under a heavy blanket of the doe’s fur the temperature in the nest box will measure 101+ degrees F (38.5+ C). On occasion, however, you might discover a tiny day-old (or older) kit outside the nest lying on the wire floor of the cage with the body temperature of a popsicle. The doe may have accidentally dragged it out of the nest while it was still suckling. Is there any way to warm the little guy and save its life? Unless the kit is literally frozen solid, there might be hope. 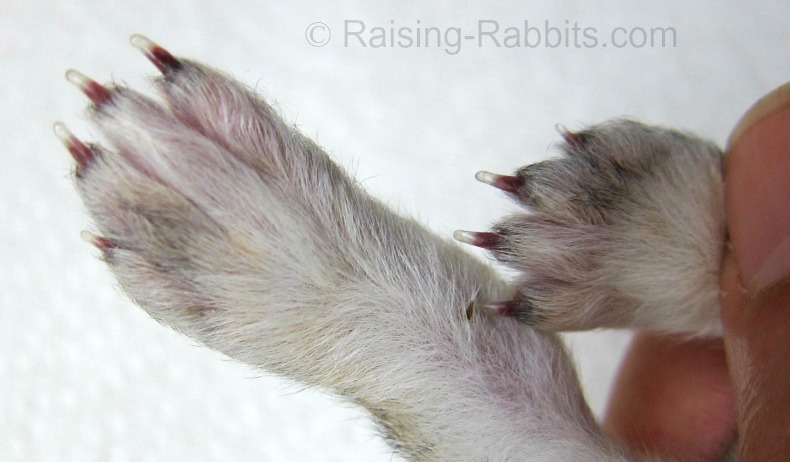 The window into the status of the kit’s circulatory system are the toe-nails, so check the toenails right away. If the toenail quick is a clear light pink, the color of living flesh, this means that the heart is still pumping, even if slowly, and the blood is circulating. The kit still has life in it. If the toenail quick is any shade of darker pink to very dark brown-red, this means that bodily functions have ceased. The blood has pooled throughout the body, including the toenails where you can actually see the pooling. Is the kit completely still and cold? Then hold the little guy under tepid running water, being careful to keep its head out of the water. After a few minutes, you might start seeing the beginnings of movement, as the kit’s core begins to warm and function returns. Another tip for speedy warming is the towel in the dryer trick. Warm a dry bath towel by tumbling it in the dryer. Then wrap the kit in the towel, leaving the whole works in the warm dryer (not tumbling!). Note that you’re aiming for 102 – 105 degrees F which is only lukewarm, and that the towel’s heat will dissipate fairly quickly. Repeat as necessary, keeping the chilled kit next to your skin as you re-warm the towel. From slightly twitching to active moving may take roughly 10 – 30 minutes. Is the kit moving even if ever so slightly? You can place it in your bra while you go about your business around the house or even your employment. Your own body temperature will continue warming the chilled kit. Even so, unless you’re feverish, our 98.6 F (37 C) normal temperature is significantly lower than the rabbit’s normal, which is 102 F (39 C). Once the kit is moving its extremities, even if not jumping-bean active, you can place it back into the nest box with its siblings. The heat from the litter will finish warming the chilled kit. Hopefully all will be well that ends well. The chilling helps to preserve brain function for a longer period of time. 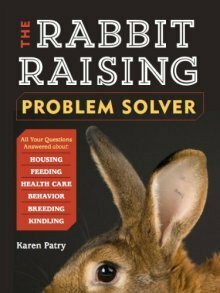 The likelihood that your once-chilled bunny fully recovers is good, assuming it still had life in it when you found it. Death by freezing can come very quickly in wintertime to unfortunate kits. In all actuality, a rabbit breeder must be vigilant in all seasons of the year. If necessary, you'll want to be warming chilled kits anytime a tiny bunny gets separated from the nest box and its littermates.